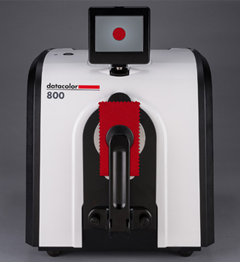 Datacolor, a global leader in color management solutions, provides software, instruments and services to assure accurate color of materials, products and images. Founded in 1970 and headquartered in Lawrenceville, NJ, USA. Industries served include textile and apparel, paint and coatings, automotive, plastics, microscopy, photography, videography, digital imaging, home theater, ink, printing, paper, leather and others. Datacolor provides sales, service and support in over 65 countries throughout Europe, America and Asia. Datacolor’s factory in China located in Suzhou. They mainly manufacture color calibrator, and supply to Nick, Adidas, etc. Boxon has been Datacolor’s major packaging supplier since 2010. The products we provide include boxes, EPE, pallets, and etc. 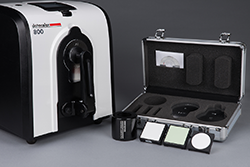 In the beginning of the second half of 2015, Datacolor released both new and updated products to the market; Datacolor DC800, SF400, DF110 and Ahiba. At this time the profit margins were reduced due to increasing shipment and export freights as well as packaging costs. That’s why the manager of Datacolor came to Boxon to find a cost efficient solution. 1. Adjust the size of packaging products, enable them in common use. Products: Datacolor DC800 and SF400. The packaging products of those two products include corrugated boxes, cover, EPE, plastic handle etc. After using Boxon packaging solutions, saving air freight $ 75 per packaging suit, the cost of air freight and packaging has been reduced 26%. 2. Reduce the cost of packaging and air freight by decreasing the size of the packaging. Product: DF110 and Ahiba. There are 10 packaging products involved with two products, including corrugated boxes, the buffer pallet, EPE, PE bags, etc. After using Boxon packaging solutions, for DF110, the cost of packaging and air freight was reduced with 33%, which means a saving of $ 65 per packaging suit. For Ahiba, the cost of packaging and air freight was reduced with 15%, which means a saving of $ 94 per packaging suit. The cost of packaging and air freight of those 4 Datacolor products has been saved for $ 149,400 per year in total. Boxon is able to deliver customer value that far exceeds any one-sided focus on the lowest price. Talking from a profitability perspective is always more beneficial than having a pure price discussion. We make you aware of parts that you have not thought of earlier. Take advantage of our knowledge and our skills to translate knowledge into practical action, let’s discussion together and analyze how best to increase your profitability.